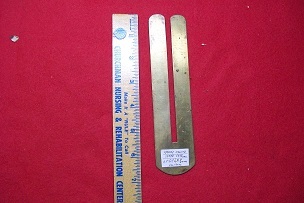 WW I or later Button Polisher. I don't know when I got this or where. 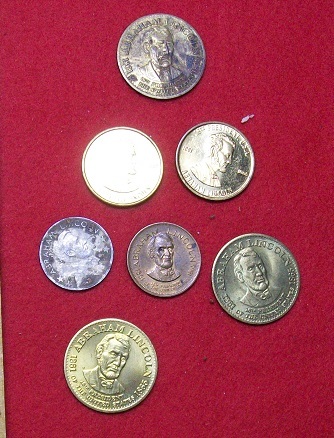 8 CONTEMPORARY Lincoln tokens. 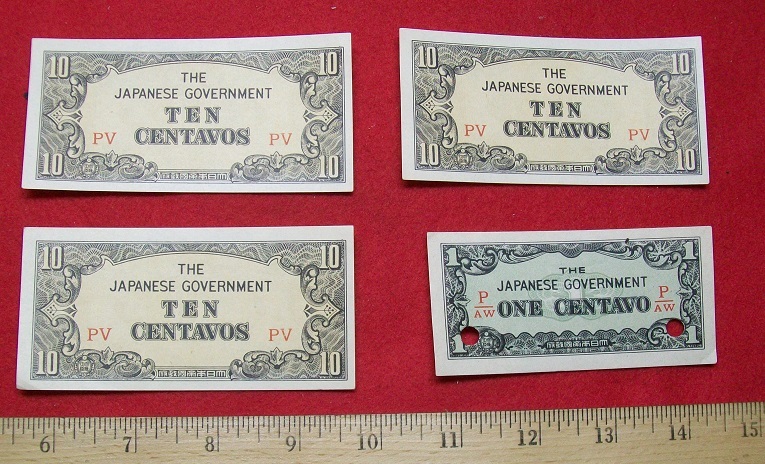 Where did I get these? 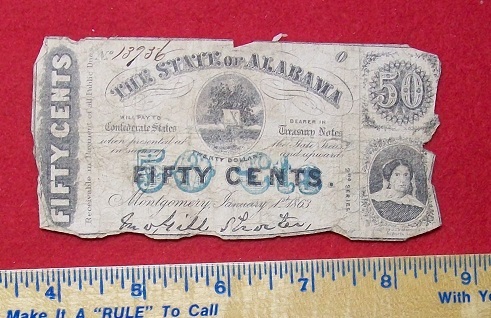 2 Civil War era imprinted Covers. 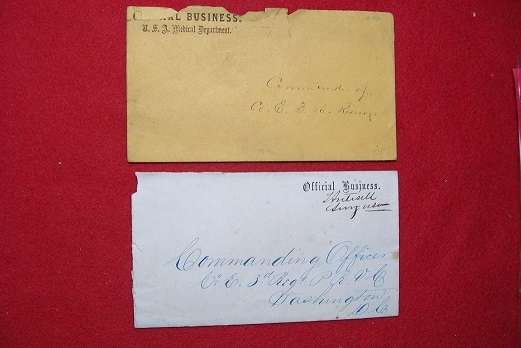 1st- Official Business- addressed to 3rd Regiment PRVG (? ), 2nd Official Business US Medical Department. Both have damage. 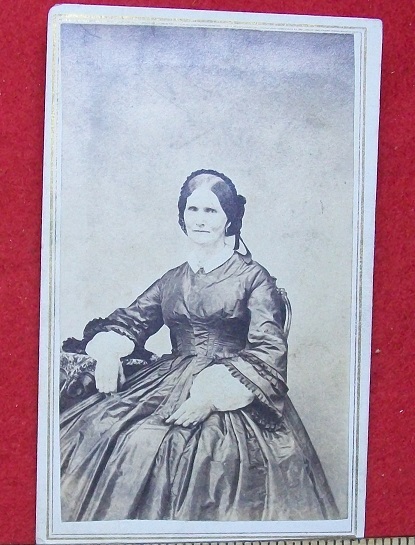 Nice Lady. Backmark- Masterson & Wood. 74 and 75 Arcade, Rochester NY. Where this came from and who she is- I have no idea. Please do not "rub it in"if she is a somebody. 2 Decks of Cards. 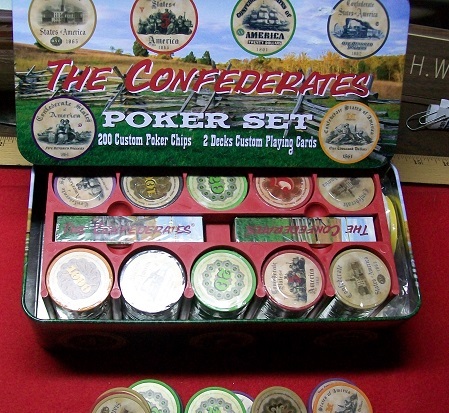 200 custom Poker chips with Civil War designs. 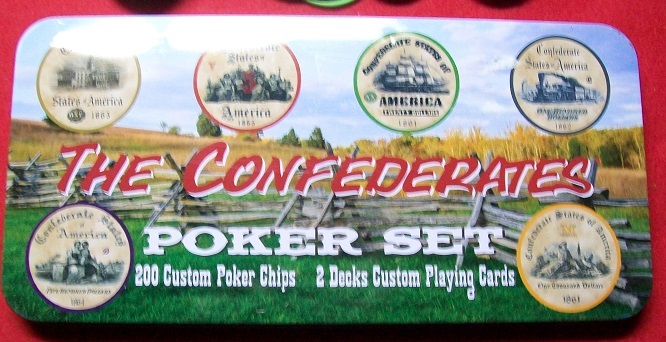 I do not play Poker. 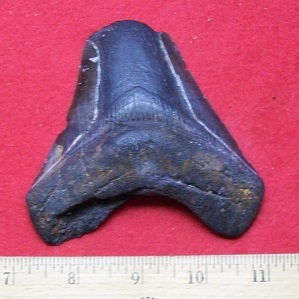 Pre historic Shark ToothPrehistoric Shark Tooth. I am told it is a million years old. Nice to have something on my site older than me! 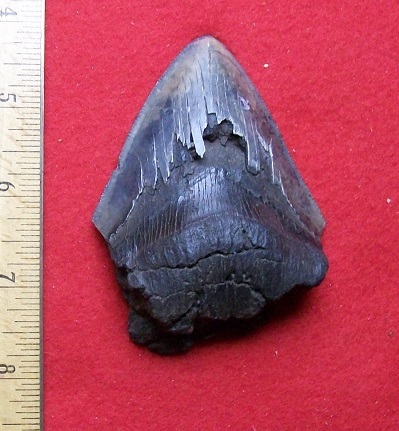 Shark Tooth over a million years old. This thing is 4 inches in size. Don't even ask!